Good news! 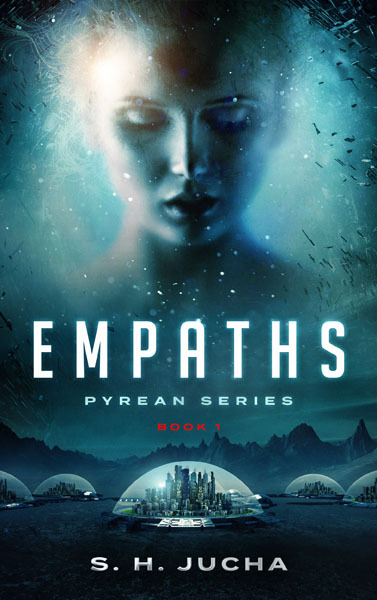 “Empaths,” the first novel in the new Pyrean series, is now available for pre-order on Amazon at https://www.amazon.com/dp/B074XBHYNX. Does this mean the next book in the Silver Ships series, “Vinium,” is creeping closer (pardon the pun) in the release schedule? The answer is yes. 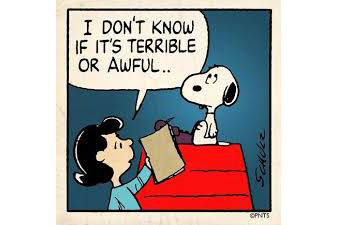 Enjoy this cartoon of Snoopy and Lucy from the incomparable Charles M. Schulz. Most appropriate! This entry was posted in Readers, Uncategorized on August 19, 2017 by Scott Jucha. Here’s a sneak peak at the cover art for the first novel in my new series, the Pyreans. For more information on the story of this third colony ship launched by Earth’s Sol-NAC coalition, visit my website at http://scottjucha.com/empaths.html. For those readers wondering about a continuation of my first series, The Silver Ships, Alex and company will be returning in “Vinium” in early 2018. This entry was posted in Readers, Uncategorized on August 2, 2017 by Scott Jucha.